On December 22, 2017, Congress adopted legislation including Qualified Opportunity Zones as part of the Tax Cuts and Jobs Act, which provides for deferral of long-term capital gains tax and, in some cases, a significant step up in basis and elimination of long-term capital gains. This little-known, rarely-mentioned provision in the $1.5 trillion tax cut is projected to save investors $1.6 billion in capital gains taxes over the next 10 years – to say nothing of the exceptional returns that investors can make on well-advised investments. Opportunity Zones present a compelling investment opportunity. "Opportunity Zones have the potential to become the most impactful federal incentive for equity capital investment in low-income communities ever enacted." - Letter to Acting Commissioner of the IRS, June 18, 2018. Governors of each state designated 25% of low income census tracts in each state. The Secretary of the Treasury confirmed the QOZ census tracts on June 20, 2018. QOZ designations last 10 years. To qualify for tax deferral, an investor’s capital gains must be reinvested into a Qualified Opportunity Fund within 180 days from the date of the sale or exchange that generated the capital gain. • QOZ investment can be used to (i) defer capital gains, (ii) increase the basis of original capital gains amount, and (iii) avoid capital gains on new investments. • Investors can defer tax on capital gains until the earlier of (i) the date the investment is sold or (ii) December 31, 2026. Timeline 45-day identification period and 180-day exchange period. 180 days to invest in a fund. Scope Limited to properties identified during 45-day period. The fund can invest in nearly any type of asset located in an opportunity zone. Investment Amount Reinvest entire basis and capital gains in new property. Reinvest only capital gains. Sale Capital gains tax deferred upon sale of old property after rolling all sales proceeds into new property. Deferred capital gains tax not due upon sale of old property. Taxes due (subject to step up in basis) upon the earlier of (i) the date the property is sold, or (ii) December 31, 2026. Type of Capital Gain Limited to capital gains from the sale of real estate. No limitations on the capital gains asset class, including real estate, stock, personal property, intangibles assets, etc. State Tax Typically state tax law tracks the federal laws and tax is deferred. Many states have not yet declared whether they will track the new federal law. Precedent suggests California may follow the federal law, but this outcome is not certain. Investment Income Tax Tax deferred until the date the property is sold. Similar to 1031 Exchange, tax is deferred until the earlier of (i) the date the property is sold, or (ii) December 31, 2026. October 19th, 2018, the Internal Revenue Service and Department of Treasury published proposed regulations providing long-anticipated guidance related to the opportunity zone program. At least 10 takeaways are clear at the outset, which are outlined below. Investors may invest in opportunity zones during the next 10 years. Investors may hold opportunity zone assets until up to January 1, 2048. The draft regulations may be relied upon. The proposed regulations establish a safe harbor for working capital. Land value need not be included in calculating “substantial improvement”. The Treasury and IRS committed to publish details regarding the reinvestment of capital by a qualified opportunity fund. Investors may diversify their investment in more than one qualified opportunity fund. The regulations set forth the process for deferring capital gains. Numerous additional regulations will be issued in future months. The Battery is a 278 unit, Class A multi-family development in the Warehouse District, a burgeoning tech hub in downtown Phoenix. The Battery is nearing a “shovel-ready” status as the Project is fully entitled and designed with building permit applications set to be approved by the City of Phoenix at year end 2018. 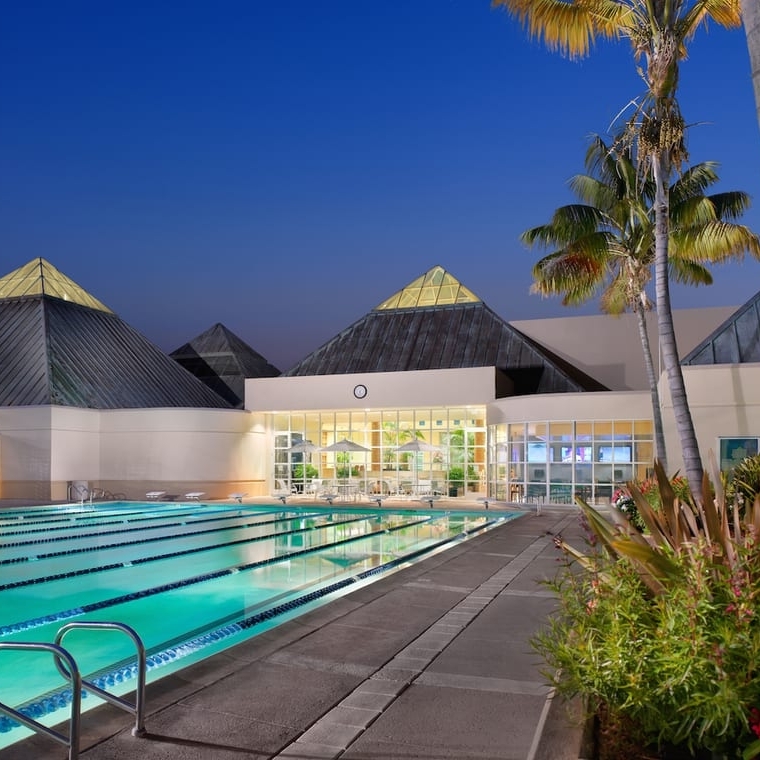 A guaranteed maximum price contract (GMP) has been recently executed with UEB Builders as the General Contractor, and the Project has been priced through sub-contractors using 100% CD (construction documents) building plans. Due to its affordability, pro-business environment and wealth of higher education institutions, Phoenix is the 3rd fastest growing technology hub in the nation, having added 4,000 tech jobs in the past 5 years. Although a significant number of these technology and creative focused jobs are being created in the Warehouse District itself, there are currently no for-rent multi-family projects in the District and none in the planning or construction pipeline other than The Battery. Two 4-story apartment buildings on 1.5 city blocks with structured parking totaling 420 spaces (1.5 parking spaces/unit) plus 4,500 sf of retail. Underwritten project costs of $75M ($270k/door) including $8.4M contributed land value ($30k/door). Located in Phoenix's warehouse district with a walk score of 89, adjacent to Chase Field (home of the MLB's Diamondbacks), 1/3 of a mile from the center of downtown, less than 2 blocks to the Valley Metro light rail stop and 3 miles from Phoenix Intl's Airport. The project recently secured an extension of its GPLET (Government Property Lease Excise Tax) agreement with the city of phoenix, thereby eliminating ad valorem taxes for 20 years. The Battery is located in a Qualified Opportunity Zone (QOZ) and benefits significantly from special tax treatment of capital gains from the IRS stemming from the Tax Cuts and Jobs Act of 2017. $8.3M of capital gains taxes (at 20%) and depreciation recapture taxes (at 25%) on The Battery. Under the same hypothetical example, but assuming a QOF structure, the amount of capital gains taxes at the 10-year mark would be reduced to $3.8M, representing $9.0M in tax savings. Capital gains taxes on the invested gains are reduced from $4.5 to $3.8M after a 7-year hold (and paid in 2026). Capital gains and depreciation recapture taxes from The Battery are eliminated after a 10-year hold. *The case study, as well as other examples above, are provided to illustrate possible tax savings and should not be relied upon as (i) a statement of actual, projected, or implied returns, (ii) a solicitation of capital, or (iii) legal or accounting advice. 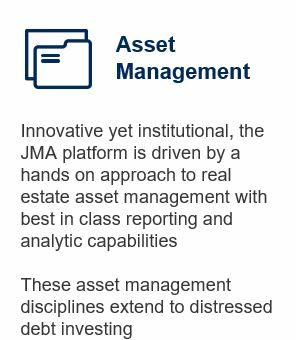 Since 1986, JMA Ventures has been committed to providing superior investment services that deliver compelling real estate transactions with high risk-adjusted market returns and long-term value for our partners. 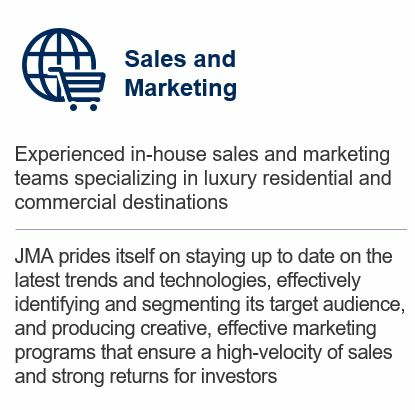 JMA prides itself on being a diverse real estate investment firm, with a portfolio encompassing hospitality, resort, destination, residential, retail, office and commercial developments. 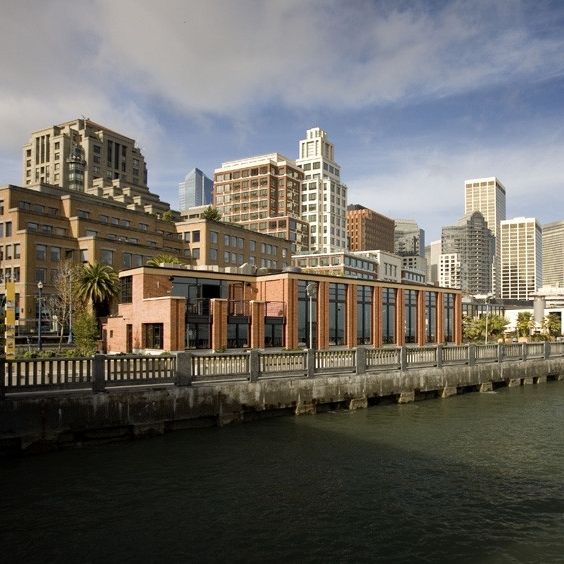 The recently enacted Opportunity Zone legislation creates a once-in-a-cycle opportunity to invest in high-performing assets in good locations, while capturing unprecedented tax benefits that supercharge investor post-tax returns. Prior to the enactment of Opportunity Zone legislation, JMA was already actively investing in low income communities and city centers as part of its value add strategy. JMAs Fund will invest in multi-family, hotel, office, retail and mixed use real estate projects located in Opportunity Zones. If you have any questions about qualified opportunity zones and JMA please contact Jake Werrett at jwerrett@jmaventuresllc.com. This website is for informational purposes only and is not intended to provide, and should not be relied upon for accounting, legal, or tax advice. You should consult your own tax, legal, accounting advisors before engaging in any transaction. This website references and provides information related to certain tax statutes, including H.R.1. and IRC Secs. 1400Z-1, 1400Z-2, which were enacted in recent months and are subject to further guidance from the Secretary of the Treasury and Commissioner of the Internal Revenue Service. Information in this presentation is based on legislative guidance available on July 26, 2018. This website is provided for information purposes only and is not intended as an offer or solicitation with respect to the purchase or sale of any security. This website may not be reproduced or redistributed in any manner and is strictly confidential. Certain information contained herein has not been obtained from published sources prepared by third parties. In addition, certain information contained herein relates to and has been obtained from companies in which investments have been made by a prior investment vehicle and its affiliated entities. 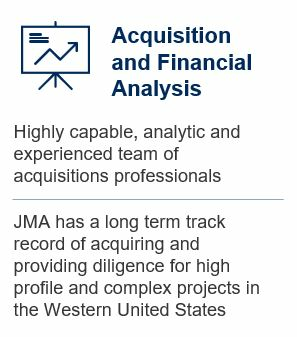 While such information is believed to be reliable for the purpose used herein, none of JMA Ventures, LLC nor any of its affiliates assumes any responsibility for the accuracy of such information.